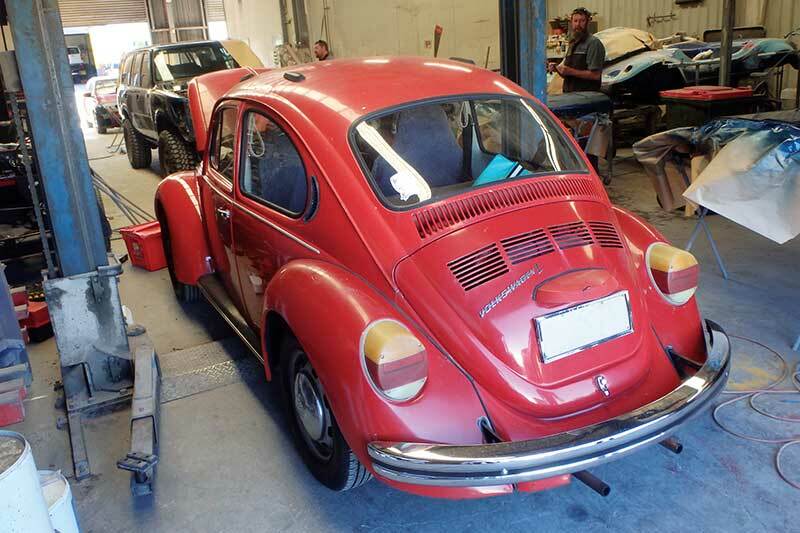 One of the reasons I enjoy rebuilding, restoring and racing VWs Beetles is their simplicity. The rear-mounted flat-four air-cooled motor and gearbox are seen as weirdly complicated by some people, but the fact the car has no radiator and the engine and gearbox are made of light alloy, makes the Beetle one of the world’s easiest-to-own classic cars: a Bug can be maintained – even rebuilt – in a suburban backyard with only a handful of tools and equipment. It’s almost as easy as Lego! But my mate Mick didn’t want to cram his already-full brain with VW tech while running his crash repair and vehicle restoration business, Old School Bodyworks. 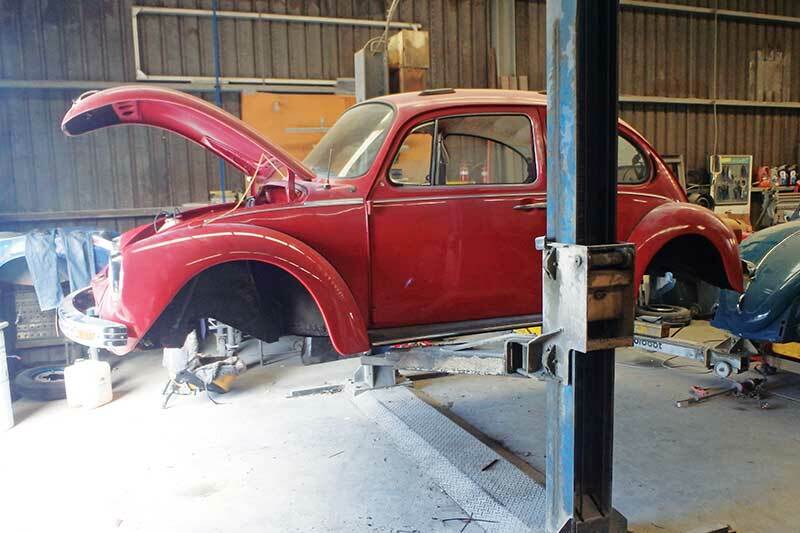 Instead, he asked me to co-ordinate the R&R (remove and replace) task for some rust repair work with a customer’s car that involved lifting a VW body from its chassis. 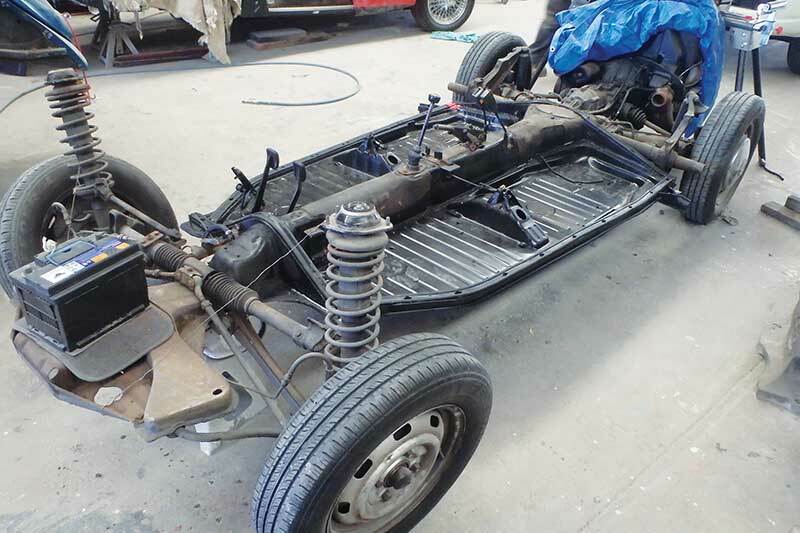 I’ve restored and rebuilt – and wrecked – plenty of these dak-daks so I knew exactly where to pull plugs, wrangle wires and spin spanners to get the body swiftly and safely separated from the chassis. I knew where to buy complete replacement floor sections, too, saving Mick even more time and hassle. 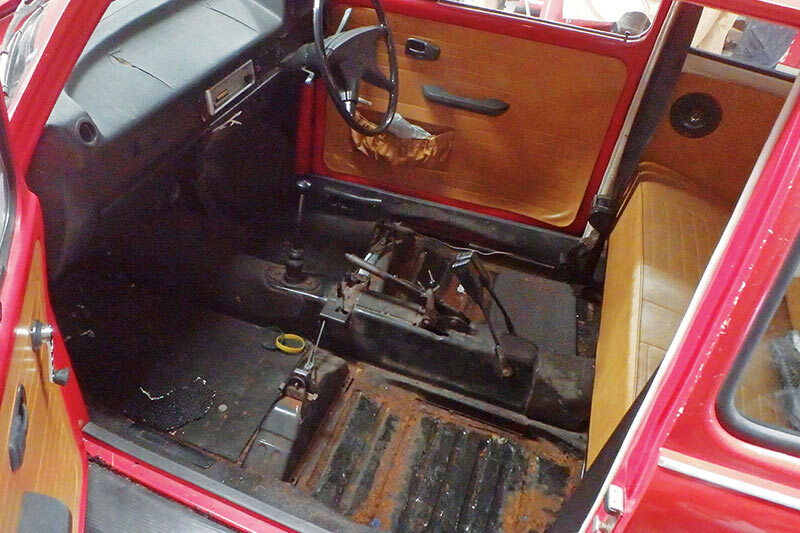 We began by removing the seats and disconnecting the battery and wiring harness to the rear-mounted engine. 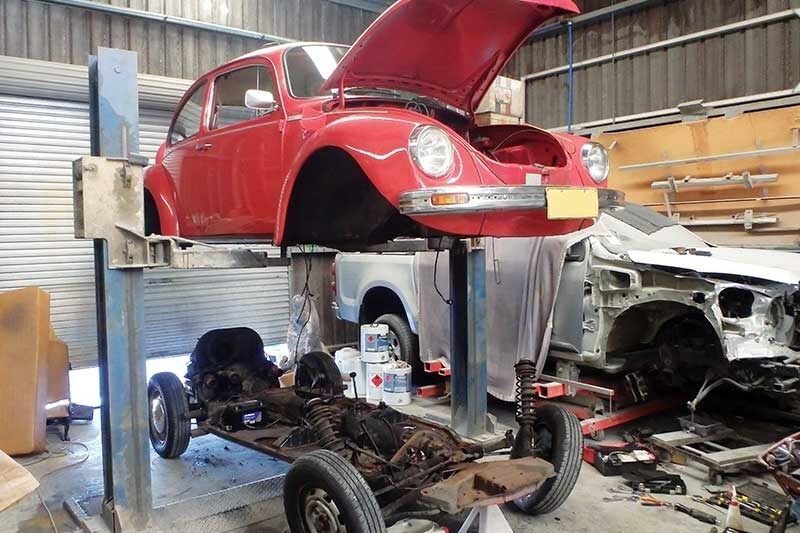 Then we used the workshop hoist to lift the Bug so the heater ducts, the brake lines, starter motor cable and a few other bits and bobs could be unfastened or removed from under the car. While the Bug was in the air, we drained the front-mounted fuel tank and removed most of the floor-edge bolts holding the body to the chassis. Returned to the ground, we removed the fuel tank, disconnected the steering column and loosened the last of the body-to-chassis bolts, including those holding the front suspension to the strut towers. 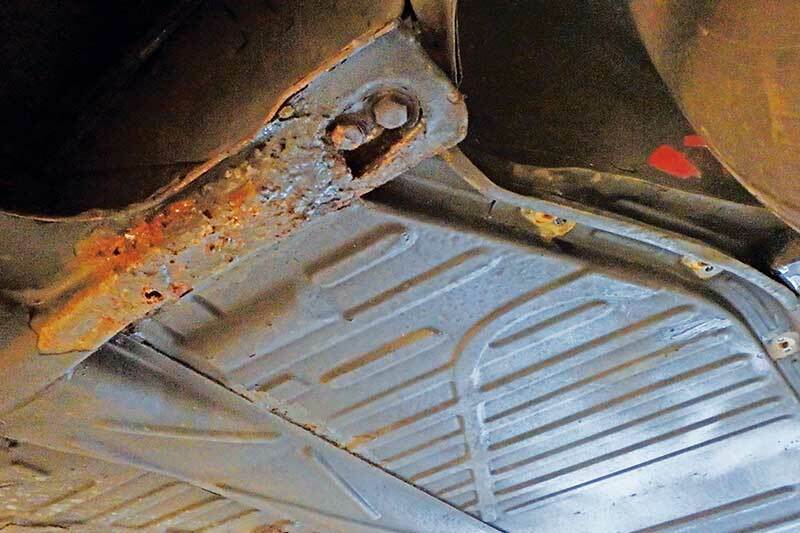 The intended repair of some rust in the fresh-air plenum – a common Bug rust spot – meant removing the windscreen wiper motor, too. Then, by repositioning the hoist’s legs under the very edges of the body’s sills, we were able to lift the body from the chassis in just a few hours. Voila! See… I’m telling you; playing with VW Beetles is easy! Sure, we used a hoist but many VW enthusiasts achieve this at home with a few strong mates to lift the body. Four 20-litre drums and some stout lengths of timber easily support the shell. 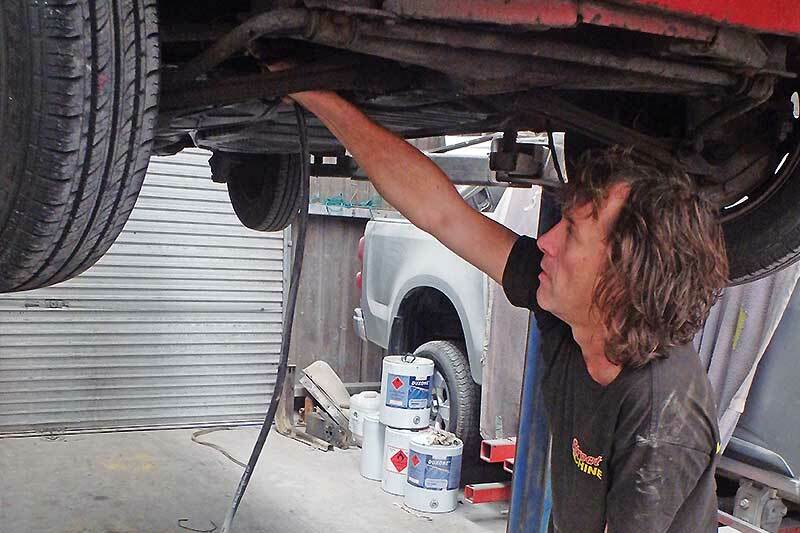 With the body out of the way, Mick and his side-kick Graham were able to remove the rusty floors from the centre spine of the VW’s chassis and replace them – and repair some other minor rust – before the chassis was wheeled back under the body and the R&R process reversed. Sure, it needs some lovin’ elsewhere, but with fresh floors, this Bug now has a firm foundation for another four decades of regular use.